In summary: When you reach the end of your Skyrail journey you are able to simply get into your car and drive back to your hotel. If you plan to do the Gold Class upgrade you will be served an alcoholic beverage if you wish. Gold Class is offered on the 9:50am train in the morning. If you prefer to do the Skyrail in the morning followed by the Gold Class Train in the afternoon so that you can enjoy an alcoholic beverage in the afternoon this is possible but it is a different tour. Self-drive to Skyrail on the Captain Cook Highway, Smithfield. Leave your car in the car park - free of charge. Meet the Cairns Tours coach in the car park. You will be greeted by your Driver, who will collect your voucher, issue your Kuranda Boarding Pass and transfer you to Freshwater Station. Do not go into the Skyrail terminal to check-in. You are being transferred to Freshwater Station to meet the train first. 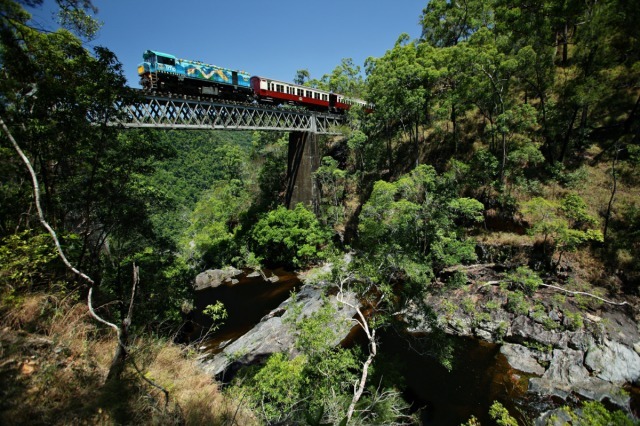 Kuranda Scenic Rail: At Freshwater Station, board the famous Kuranda Scenic Rail for your 1.5hr journey to Kuranda. 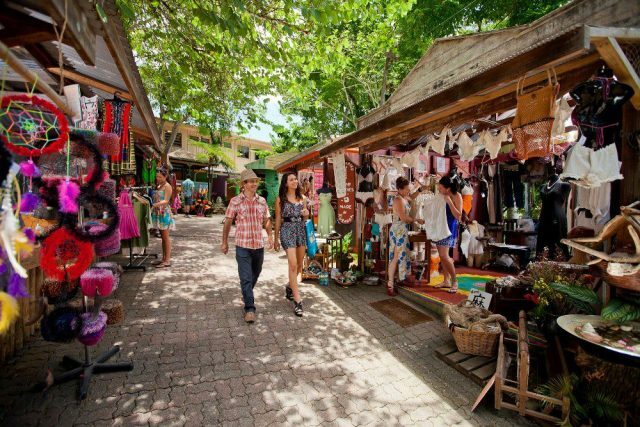 Kuranda Village: Free time is allowed to explore this quaint village, including the Markets which operate daily. 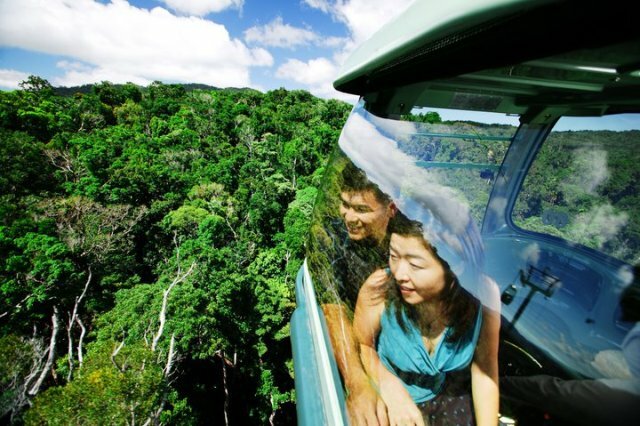 Skyrail Rainforest Cableway: Journey into one of the oldest continually surviving rainforests on earth. 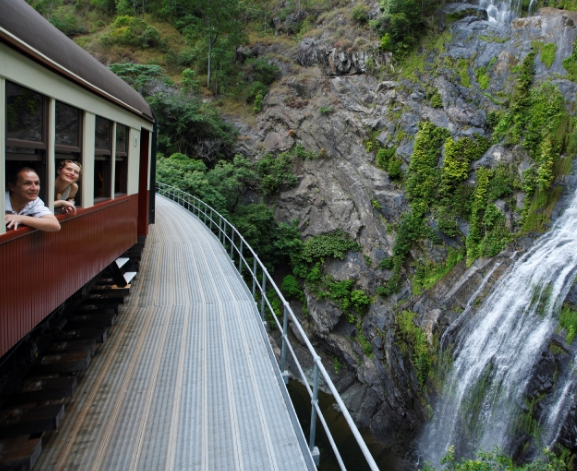 Enjoy two stops at Barron Falls and Red Peak Stations before returning to Cairns. Barron Falls: Spectacular views of the Barron Gorge and Barron Falls via three viewing platforms; Skyrail-CSIRO Interpretation Centre; historical pioneering displays. Red Peak: Lush rainforest including the towering 500 year-old Kauri Pine. Interpretive boardwalk tour with Skyrail Ranger available throughout the day. We suggest you allow 1.5 hours for your Skyrail journey to Smithfield. This allows for time at the two stops en-route to enjoy the boardwalks. Skyrail Smithfield disembark to collect your car. 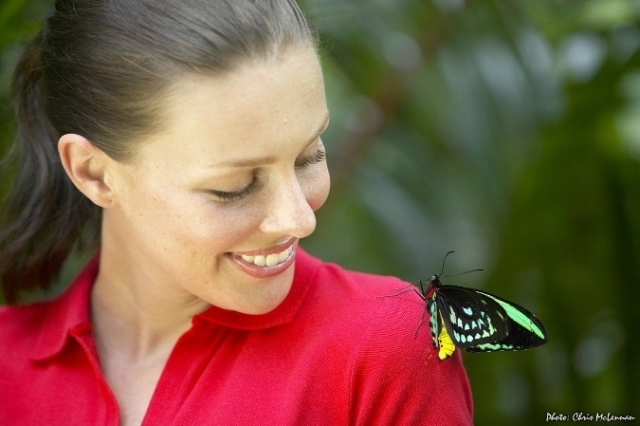 Kuranda Wildlife Experience includes entry to the Kuranda Koala Gardens, Birdworld and the Australian Butterfly Sanctuary. 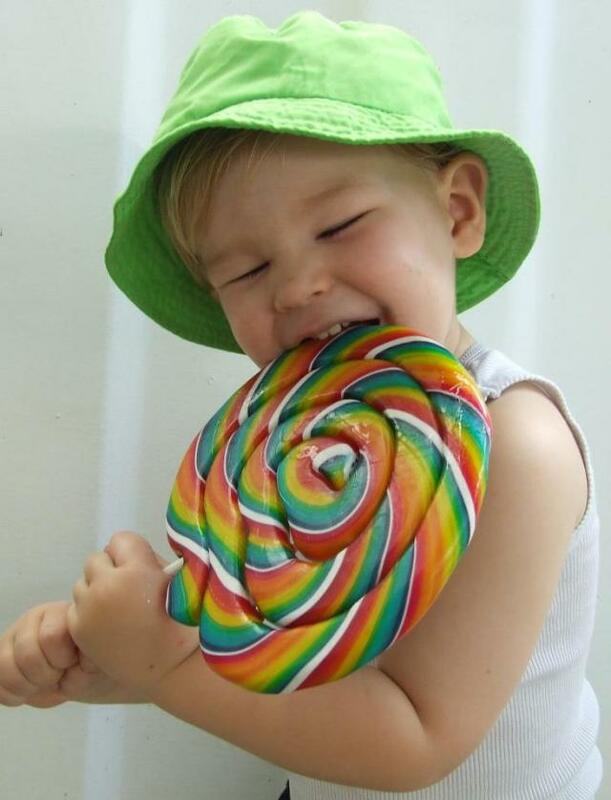 You will have access to all three attractions at a great saving off the normal admission price! We thoroughly enjoyed our day on Kuranda Train & Skyrail. Kim at Travstar was extremely helpful with all of our enquiries. 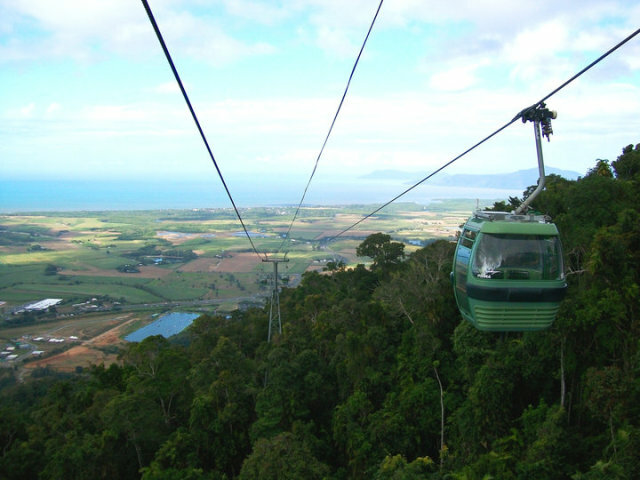 Her information on the Cairns Tours Self Drive Train-Skyrail was excellent..The service and the trip was outstanding. Fabulous. Enjoyed the trip immensely!! Fabulous. Enjoyed the trip immensely!! Would highly recommend Self-Drive Kuranda Train & Skyrail. 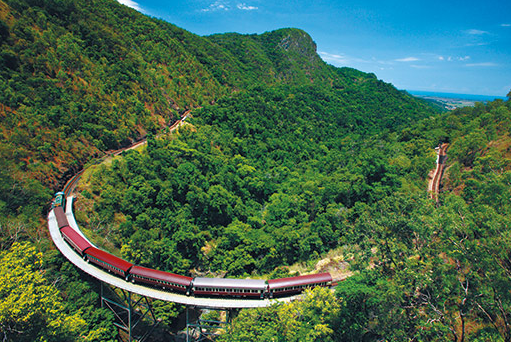 Both the train & the skyrail drive are exciting, great views into nature, Kuranda villagea bit too touristic, but definitely try the f.o.c. 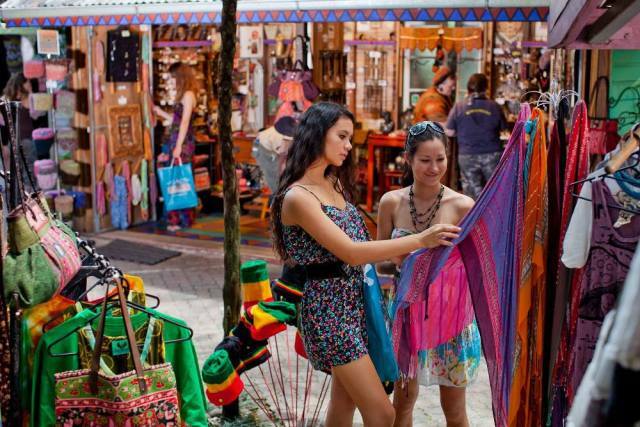 jungle walk and visit the hippie area with nice shops & great people. 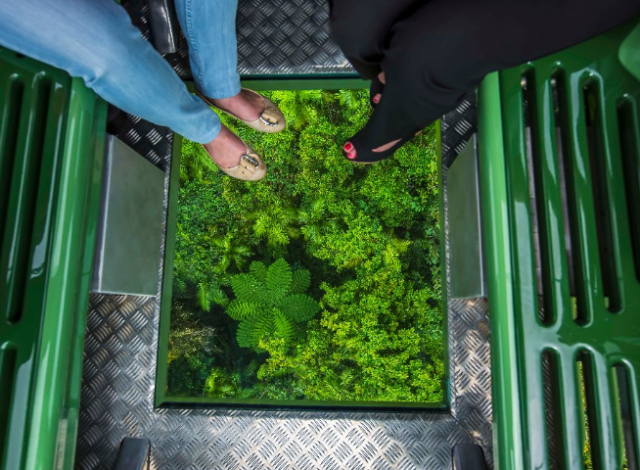 Great Experience, especially the sky rail with the glass floor (the upgrade ist worth every penny). 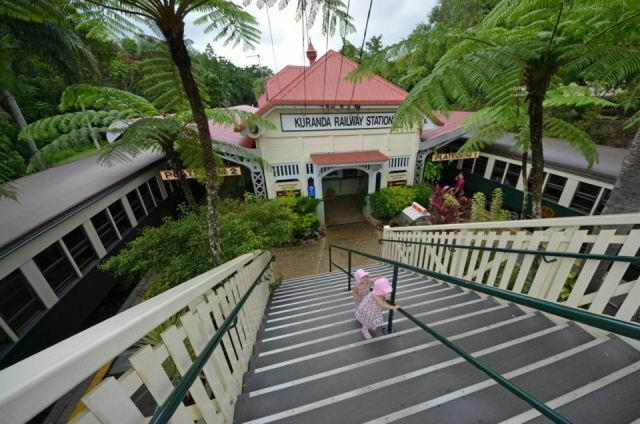 The station at Kuranda is so picturesque and there is a very good commentary throughout the train journey. The Skyrail over the canopy was spectacular and unexpectedly better than the train! Very helpful and friendly booking staff. Great information on how everything worked on the day. Would recommend to everyone. Well organised. Great customer service. A real pleasure. Highly recommend travstar, Great day !!! Highly recommend to book through travstar .Great trip up in the train and great views on the skyrail back down .Great day !!! Experienced an excellent trip. The gold class train is fantastic. We first requested for hotel transfer arrangement, but we changed our mind one day before and decided to self drive. We were appreciated that we had received email message which advising us for the parking location. Lovely day out and everything went very smoothly. We were met at the terminal and our shuttle left on time. We decided to upgrade our train and that was very pleasant. Snacks and drinks on route and a welcome drink before boarding the train. We enjoyed 4 hours in Karunda in which we did shopping and interaction with kangaroos and koalas. The glass bottom cable car was enjoyable and we had a separate queue for this of which we were the only ones. A pity that it had started to rain quite heavily and was quite cloudy high up. We decided not to stop at some beauty spots on the way down because of poor visibility but I can imagine it would be really lovely on a clear day. A great day out and thanks to Travstar for the ease of booking this trip. Lovely day out and can fully recommend it. Great day out even with the rainy weather. Good service from the moment we met our bus driver taking us to Freashwater Station for the train ride up to Kuranda. Skyrail was amazing and would have been sensational if the weather was better and. Clear. All said we did go through the clouds. 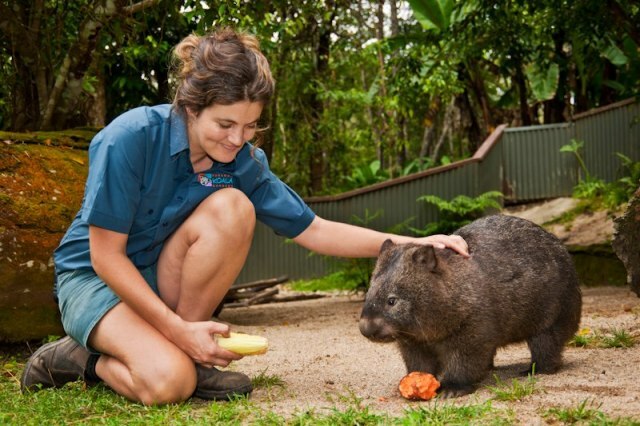 Best way to visit Kuranda. 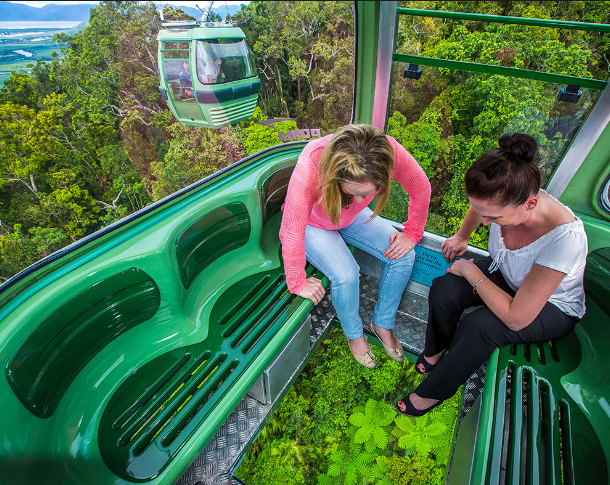 There are only 2 trains up in the morning and as the Skyrail runs continuously it gives you much more flexibility in terms of time spent in Kuranda. Would highly recommend this option. Booked Scenic Railway outwards and Skyrail return via Travstar. Speedy confirmation and excellent, organised service. We truly enjoyed the Gold Car Train Ride and running historical commentary. One of our favourite experiences on our whole trip. Highly recommended. I took my aunt who was visiting from the UK, she has a bad knee requiring me to hire a wheelchair. I was very concerned that it would hamper the day but the staff and the whole process was fabulous. I cant praise the staff highly enough for the respect and care given to my aunt to ensure she was comfortable and secure at every point of the train up and skyrail down. Just brilliant. Thank you for helping make the day so special. Very enjoyable experience, stunning scenery and informative train ride. I live locally so look forward to taking visitors on this trip, it never gets boring. Would highly recommend it to everyone! We had a fantastic day, the train ride was the highlight of my 3 year old nephews holiday. The service was great and and views were amazing, thank you for helping us to organise such a great trip. Would highly recommend it to everyone! We were very happy with our trip to Kuranda on the Scenic Railway and return trip on the Skyrail. The views are spectacular and the 7km return trip over the rainforest was brilliant, especially given the stops on the way for the boardwalk and Barron Falls. A great day out, with everything working like clockwork. Would recommend this to anyone. Enjoyed this fantastic tour. Well organized by Travstar and the day went smoothly. The Skyrail was just amazing, a ride not to be missed. Would love to do again. Loved the old train ride and the history behind the building of the rail line. 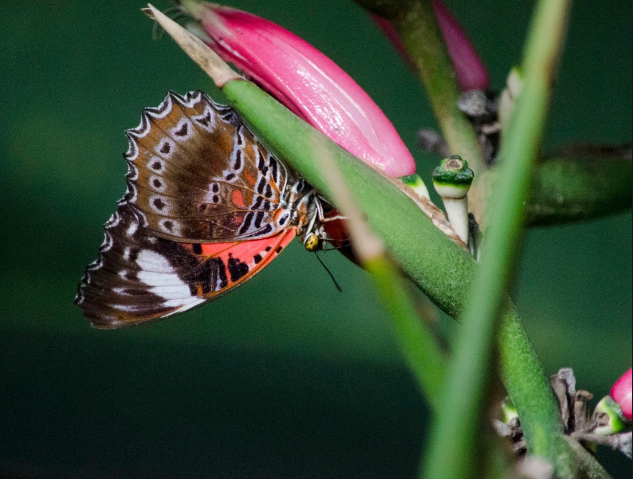 An awesome day as we took in all what Kuranda had to offer in the way of markets, awesome lunch and loved the butterfly house. A must see tour. Great tour, we really enjoyed it. We travelled gold class on the train and our personal assistant Maria was excellent. She was also knowledgable,helpful and very friendly. Thank you Maria you made our journey all the better for it. Andrea and I thoroughly enjoyed our day. Gold class in the train is really worth the little extra. Thank you for a great experience. 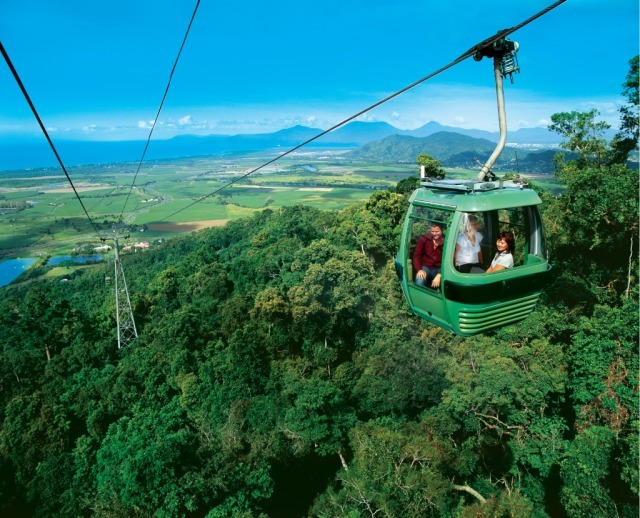 A most enjoyable day, by doing both the Kuranda Train & the Skyrail, it gave us the best experience to see what an enormous task it was to build the railway, as well as being able to view the rain forest & surrounding ranges from above the canopy. Had a lovely day. The train journey up was fascinating and the gondola down was spectacular. We loved that it took a while in both directions as we got longer to enjoy the rides. Gold class is worth every extra dollar. Completely recommend and the diamond view gondola was an amazing experience. Great views and relaxing trip. Certainly worth the money. Great views and relaxing trip. We had a fantastic day. Everything was so easy from the minute we arrived at the meeting point to the time we board the the skyrail. Gold class is definitely the only way to travel up the mountain, the service was not only amazing but made the trip seem a lot shorter and with 2 children (aged 8 & 5) it was the one thing we were worried about,but they had a great time and never complain once. Worth every dollar and would highly recommend this trip to anyone. Great day would recommend to anyone kids loved the shyrail. 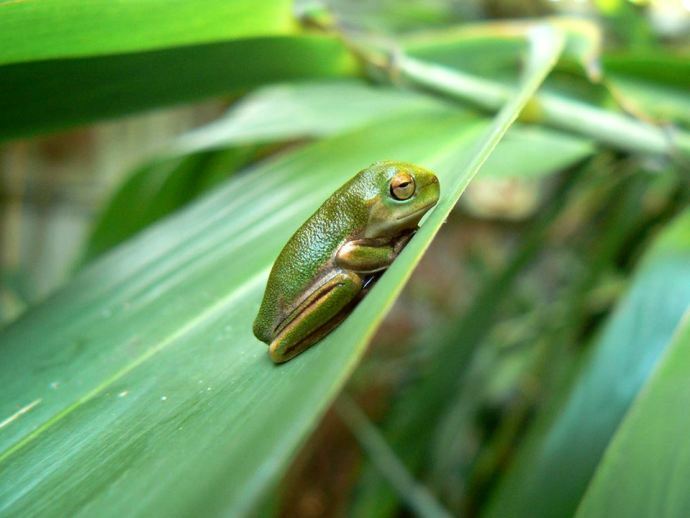 We enjoyed our day and wished we could have spent more time in Kuranda. Experiencing both the train and skyrail added to our adventure and the self drive option made the whole day possible for us as we had a flight out later that afternoon. After riding the diamond view gondola, I think we would have been just as happy with the regular car. This was a lovely day trip and the scenery was just beautiful. The Skyrail is a must do, we loved it. The only dislike was the heat, we struggled with a long day in the heat. So take plenty of water. Fantastic day on the train & even better the Diamond View Skyway! We left our hire car at Smithfield and was taken by bus to Freshwater where we boarded the train. A fantastic journey up to Kuranda where we walked around the Village, had lunch and then caught the Skyrail to Smithfield. The Skyrail was great, the gondola sailing over the treetops with magnificent views of the countryside. A most memorable journey with our car waiting for us on our return. Highly recommend this way of going. The service was excellent, from beginning to end. A service well done. A thoroughly enjoyable way to show off our wonderful country to overseas visitors. We all enjoyed the experience immensely. Throughly enjoyable. Staff polite and accomodating. What a great day. Definitely recommend this trip to both Aussie and overseas visitors alike. Enjoyable and informative. 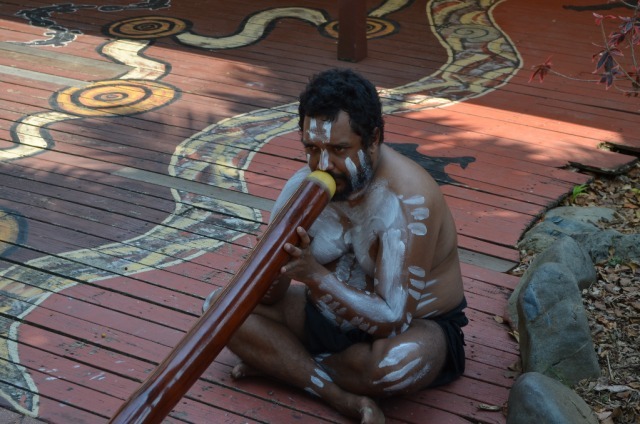 Well worth doing when you are in Cairns. Nice day out with the family. 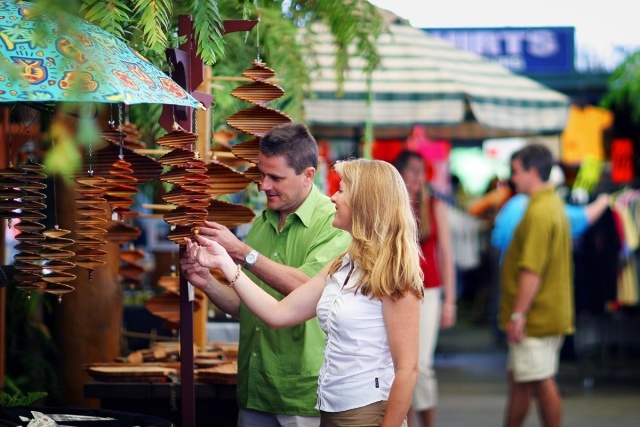 Something well worth doing when you are in Cairns. Booking process was simple although we were unable to book the \"diamond service\" gondola. Trip was great, station is interesting and very pretty, love the train ride up, very comfortable. Kuranda was great for the kids with the butterfly park and reptile zoo highlights of the trip outside of the milkshakes for lunch! 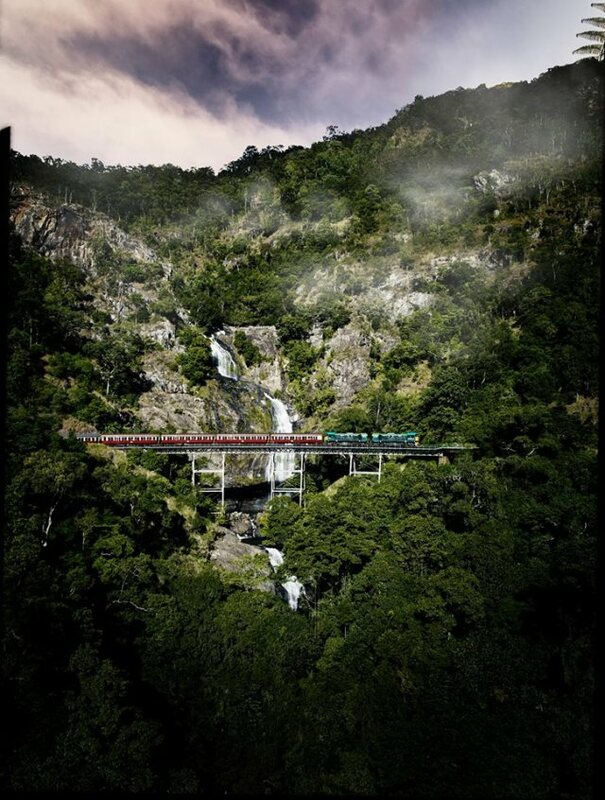 Skyrail offers great views and the lookout a much better view of the falls than from the train side. 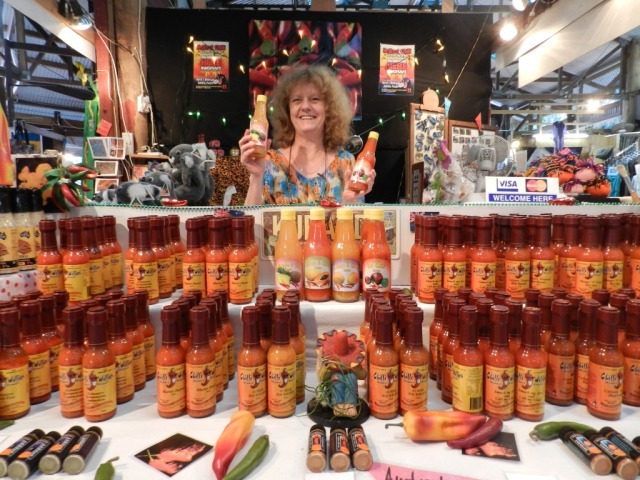 Gift shop was also excellently stocked with good variety of food and souvenirs. Fabulous atmosphere and information on the train and on the stops both up and down as well as stunning views of waterfalls and rainforest. 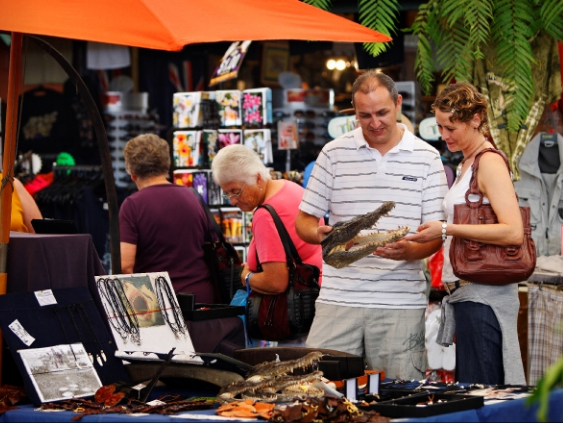 Plenty of time to visit Kuranda as well. Worth the experience to travel the train and gondola to and from Kuranda. Great facilities and the commentary on the train was informative and interesting. Bus service at the pick-up point was prompt and the bus driver was friendly and helpful. The train ride was especially enjoyable. Staff were cheery, friendly and helpful and were on time. The Gold Class on the train and the Diamond View on the Skyrail were worth every cent. Fantastic experience. Friendly service changing ticket to another date. Train and Skyrail better then expected. Great time. Is well organised checking in and was a great day out. Very clean, tidy and well organised. Diamond Class well worth it. The extra cost of a diamond class on the Skyrail is well worth it. fantastic to look down right into the rainforset below. Great day out, making the most of our time in Cairns. Good to see the rainforest from two different perspectives. village at the top ok, souvenir shops competitively priced. Very easy to book. Extremely easy voucher system for both the train and skyrail. A great experience. The train ride was interesting and the commentary provided lots of details. 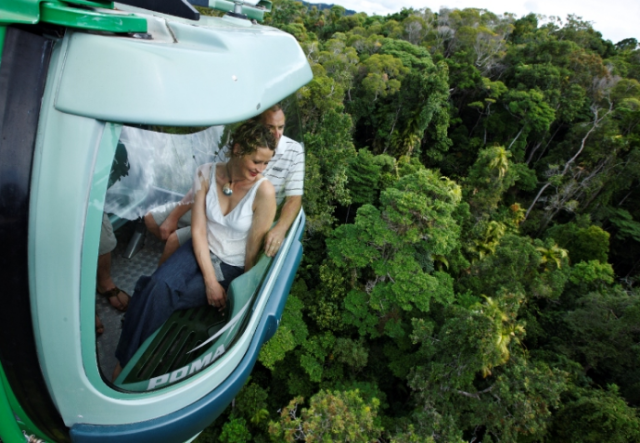 The Skyrail is a fabulous way to see the rainforest up close. An interesting and enjoyable day out - staff very helpful. Really worth the effort to go. 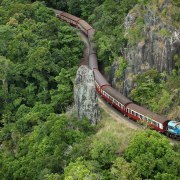 Relaxing way to see area and rainforest with historic rail trip and amazing sky journey. The 4 of us very much enjoyed the whole day, Thank you. 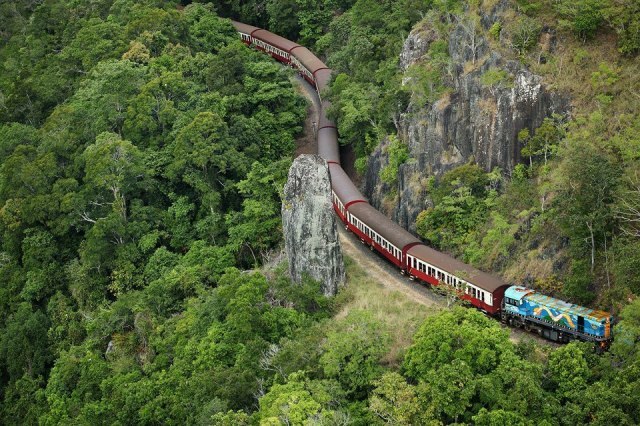 Idyllic train journey through winding tracks and beautiful scenery. Relaxing destination and breathtaking cable car journey back. The snap looked photoshopped though. But overall a beautiful day out. Booking through travstar was so easy and we didnt even need to print the invoice, the tour provider had all our details ready on the day of the tour so no hassles. 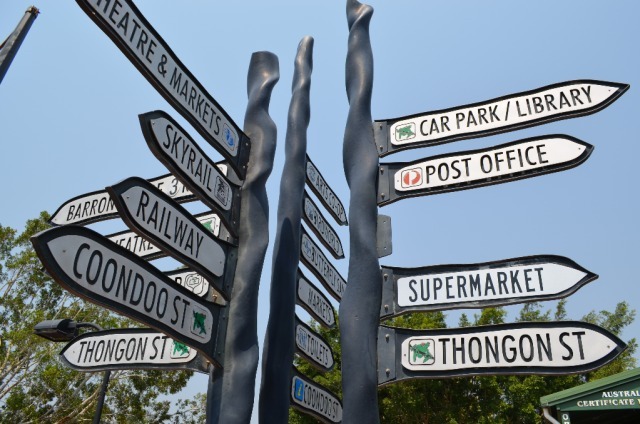 Professionally Organised Self Drive Tour. Great Service, Highly Recommended if you want to to have a trip on the Scenic Rail and Sky Rail with the maximum Flexibility. Really enjoyed it. An amazing experience and we were in awe of the achievement of the whole train line and then the cable ride. What they have built and kept up in the terrain is truly inspiring. I really enjoyed the commentary of the work and history involved to have the rail built way back when!!! A very good day out and good value. My girlfriend and I had a wonderful day. The scenery was just wonderful and we spent lots of time taking some beautiful pictures and enjoying walks throughout our day. 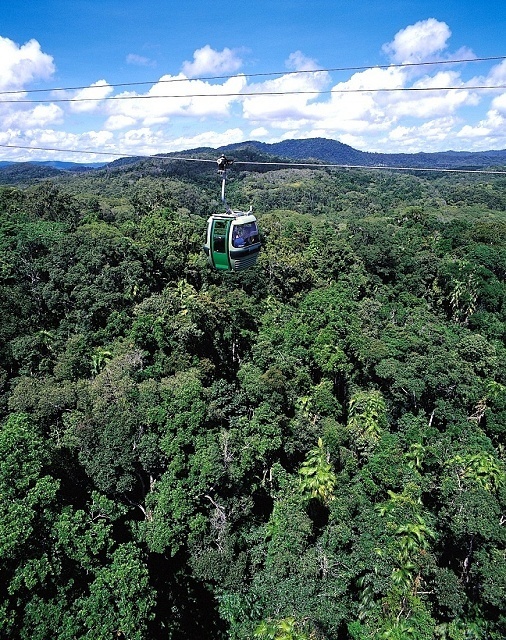 Was a great way to see Kuranda and surrounding areas. Nice historic train ride up and beautiful views on the way down. Easy to book online. The self drive option worked out really well as our car was left at the sky rail which meant we could leave Kuranda whenever we felt like it by catching the sky rail down. A great day! A lovely family day out! 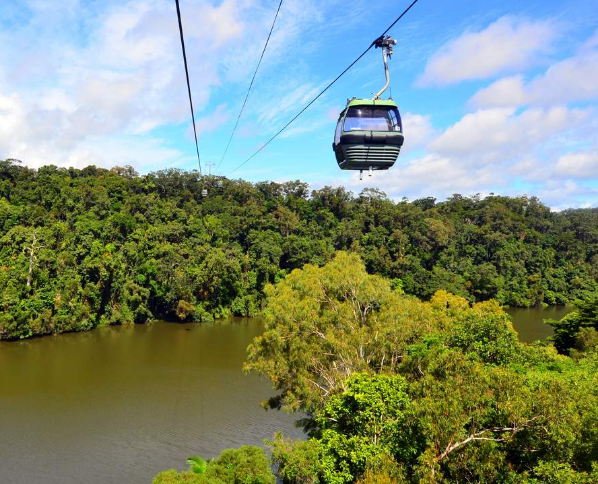 Our family group of 6 adults & 2 yr old child thoroughly enjoyed the train trip up and skyrail down (great views), we had lunch at Kuranda and loved the butterfly park. Great experience, especially the cable car ride. The train ride was fantastic -educational and very interesting. Service was exceptional. The skyrail was breathtaking. A must do when visiting Cairns. Travstar were wonderful with their help. Highly recommend using Travstar and highly recommend experiencing the Kuranda train ride and skyrail. What a wonderful day, and looked after by so many lovely people. Fantastic value for money. Thank you. We thoroughly enjoyed the experience. The service provided by Travstar was exceptional. I would recommend using this service to book your activities. Helpful, friendly and efficient. Excellent view on the train and skyrail. A must to visit if you like scenery viewing. Fantastic day out. The skyrail was the highlight especially when we went up through the mist. Exceptional. Had a great time on this attraction in F.N.Q. One of the best things to do when in or near Cairns, train was in first class carriage from the 1940's. Service was great and staff knew when to take the best photos. Kuranda was too arts and crafts for me but may be OK for overseas visitors. Skyrail back to start was perfect way to finish this amazing day out. I would highly recommend this to anyone that is visiting this area of Australia. 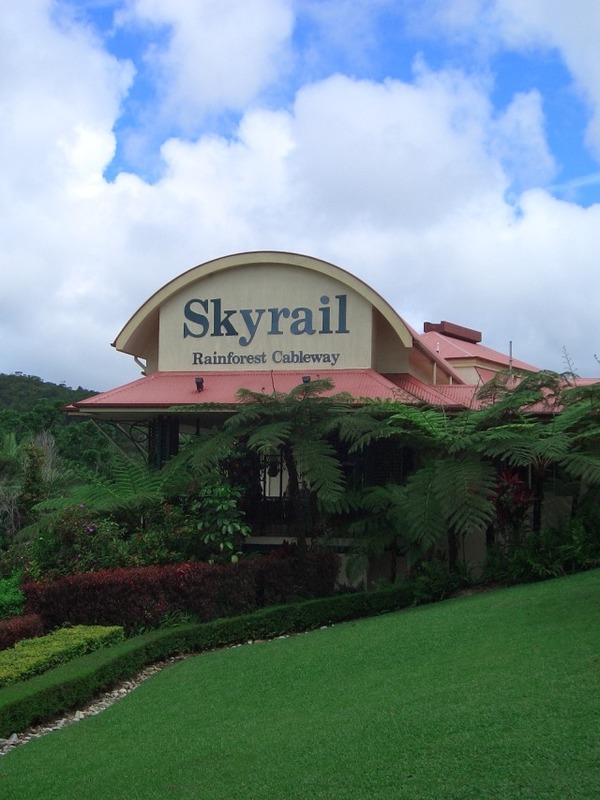 This is my second Skyrail and Kuranda visit. The train ride was great even though it rained. We had a fantastic time in Kuranda village, even though the koala that I was holding bit and clawed me. He thought he was going to fall from my arms and got scared. My grandkids had no problem with him. We still enjoyed our koala experience immensely. 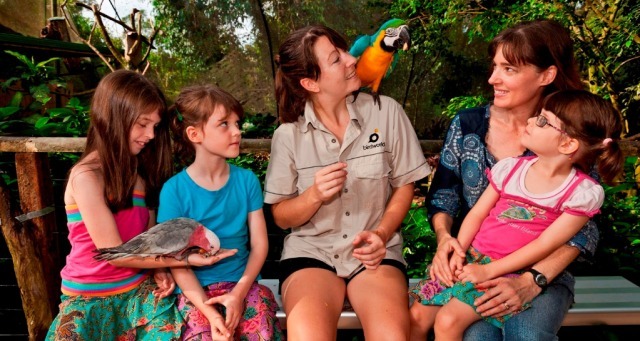 The bird sanctuary was a hoot as the big Macaw tore my hat up and some other birds landed on my grandchildren. Lunch at the restaurant was awesome. We enjoyed this day. It was relaxing with many varied activities and options from which to choose. We would recommend this day to anyone. Just amazing. highlight of my trip. We thoroughly enjoyed the day out on the Scenic Rail and the Sky Rail. The few hours at Karanda was interesting as the last time we were in Karanda was in 1973. Thank you for such terrific organisation, from the bus driver (he was great) to the girls at Freshwater station, everything was great. Travstar did a great job organising our bus, train and sky rail day of travel. We really enjoyed our day as everything was pre arranged and we could just enjoy ourselevs. Well organised and enjoyable day in Kuranda.